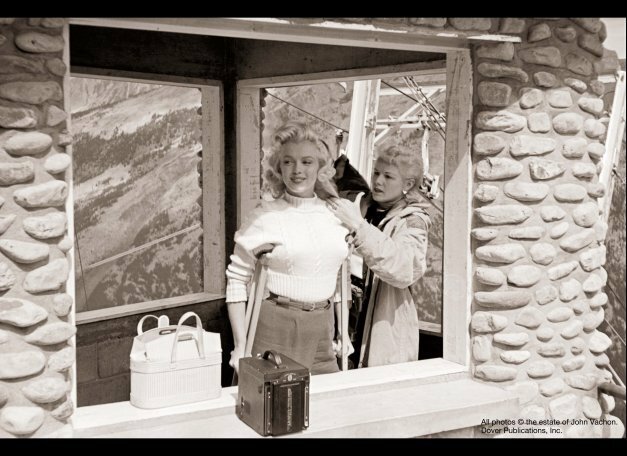 Marilyn, August 1953. on the set of "River of No Return.". Wallpaper and background images in the মার্লিয়ন মনরো club tagged: marilyn monroe monroe photoshoot 1953 river of no return john vachon. This মার্লিয়ন মনরো photo might contain ঘূর্ণায়মান দরজা, রিভলবার, সাইন, পোস্টার, টেক্সট, চকবোর্ড, and ভোজনকারী.